How a family caregiver can create a safe space and avoid another fall. In 2014, 28.7% of older adults reported falling, according to the Centers for Disease Control and Prevention. It can be a jarring experience—but there are plenty of ways to prevent falls and regain ground if a loved one has taken a tumble. Your approach to fall prevention as a family caregiver may vary depending on your living situation and loved one’s health, but in general should include proper exercise, home safety installments and simple lifestyle changes. If a loved one has recently fallen, it is important to investigate the cause of the fall and to determine whether this is likely to happen again. Falls may be caused by visual, neurological, environmental, mental, inner ear or physical causes. 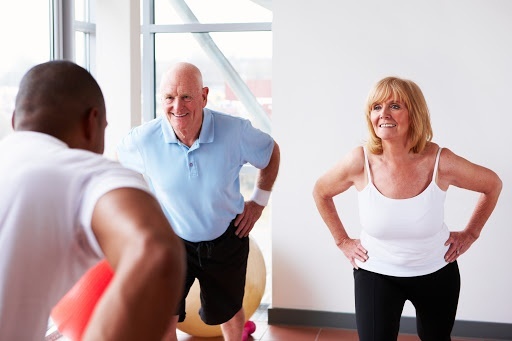 Work with a health care provider or physical therapist to assess the situation and gradually reintroduce physical activity in a monitored environment. Martin has helped seniors recover from falls and prevent future falls using techniques such as balance training, strengthening exercises and flexibility training. These techniques help to reduce fall frequency or eliminate future falls altogether. Providers may also advise seniors to complete daily exercises at home. Balance—Stay close as your loved on practices balance while standing at the kitchen counter, holding on. When your loved one feels secure enough, suggest he or she try standing without holding on or even standing on one leg. Vision—Eye-tracking exercises can help improve peripheral vision, allowing people to better see the space and any potential hazards. Aside from regaining strength and agility, fall recovery and prevention also involves rearranging living spaces to make it easier to get around. If the fall resulted in a hospital stay, an occupational therapist will likely conduct a home safety evaluation and provide training on safer ways to complete daily activities, says Dr. Steven Castle, professor of medicine at the University of California’s David Geffen School of Medicine in Los Angeles and clinical director of geriatrics at the VA Greater Los Angeles. “Every senior who is recovering from a fall should review current medications and dosages with a doctor,” Castle says. Sleep aids and blood pressure medication may cause drowsiness or dizziness that can lead to another fall. Blood thinners—key in preventing strokes, blood clots or heart attacks—could also increase bleeding in the event of a fall. The risks and benefits of these medications should be reviewed with your doctor. Mobility aids may also be prescribed as an added safety measure. “If you have had more than one fall or an injury from a fall, then it is recommended you be assessed for a mobility aid such as a cane or walker and receive training from a physical therapist on how to properly use your mobility aid,” Castle says. Finally, don’t forget about footwear. “Seniors are 14 times more likely to fall if they are barefoot or wearing socks in the house,” Castle says. Shoes help distribute weight from the heels to the balls of the feet, which improves balance, Castle says. Encourage loved ones to wear shoes with a non-slip sole at all times—even in the house.